Yeah, I'm as bad as the dept. store. At least, I didn't do it Christmas Eve. I did have some restraint. A little LOVE U rocking on the porch -- fabric by Deb Strain. Love U isn't really Valentine's Day, just the title is. 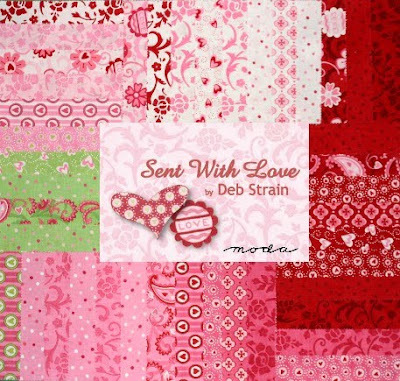 Sent With Love is also by Deb Strain. She's a busy gal. Fun little kit to make. Quick & easy. LOVE U, L'amour or Sent With Love. Leave a comment about what makes the world go round. Random drawing later tonight, while we're waiting for the sparkley ball to drop. Schnibblers, I'll see you tomorrow! Love the quilt on the rocking chair!! I was thinking that was your giveaway! I was like.....you are kidding me!!! Thanks for doing the drawing. Well, definitely love. That, and empathy, compassion. Happy new year to you, may it be filled with great things! Ooooh such pretty colors!!!! <3 it!!! My family makes my world go round, sometimes so much, that I feel dizzy! The colors are fantastic! I love the quilt! Solidarity makes the world go 'round. That Deb Strain is just Hawt-pewfect, as my 5 year old would say! I'm in love (hah!0 with Deb Strain and both her lines! and Sandy is always a genius. So, happy New Year, and many hopes for a great 2010! Love Love love...love is all there is. Love and happiness definitely make the world go round, but unfortunately, there isn't enough of it. Love makes the world go round. That and some kind of scientific mumbo jumbo stuff. Love the quilt and the new fabrics! 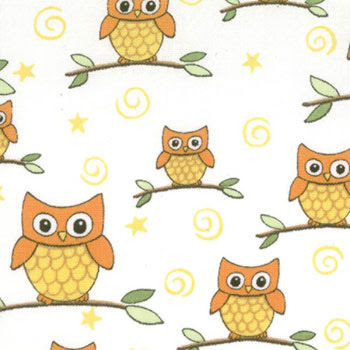 Those owls!! I think contentment makes the world go around. Yup, simple things and contentment! Love the Love U fabric... I have to agree about love makes the world go round - of family, friends, and love of life... Happy New Year! love makes the world go round...where there is love all things can work. My daughter, she's in charge of the world goin' round! Love Love U! Yep I agree with everyone else. Love does make the world go round. Because without true Love your world stops and your heart aches. I am grateful to be loved. You are too funny. Family makes my world go 'round. No doubt it is love that makes the world go 'round....although some scientists seem to think it has to do with the solar system and gravational pull or something like that ;) Would love to have some Love sent to me. Here's wishing for a very loving year in 2010. Of course--love. And family. And friends. But it all centers around love. And I love those fabrics! Have a great New Year! I adore the Love U line. Empathy is what make things go around on the good side of the world, greed on the "other" side. Without empathy even love can't make things move forward in a good way. I'm pretty sure it's the gravitational pull of the sun! lol But more likely, it's happiness. And we all achieve that from being loved and having something to look forward to, I think. Love the fabrics, Love U is my favorite, but they're all wonderful. Thanks for the chance! Chocolate or any form there of makes the world go round. Happy New Year. My little darlings- four little and one big (hubby) makes my world go roung! 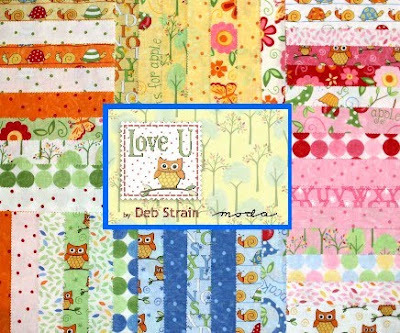 And I gotta win 'cause I have to have that Love You print :) So stinkin' cute :)!! love and money...or is it money and love? oh either way, we need both! that sent with love line is fabulous! Happy New Year! Respect and compassion for others, despite their differences. Thanks for sharing the love! Well, I'd like to say LOVE.. But, I'm thinking it's FOOD! Okay, food and fabric. I guess thread too, or else what would I be doing with fabric.. FOOD, FABRIC, THREAD, and HUBS = LOVE! I agree with everyone else - it's love, but also I think the fabric in my stash may be effecting the worlds rotational orbit. Better add more. Well, I am going to be a cynic here. I think it's actually money that makes the world go round. Such cute fabrics! Valentines is right around the corner too. See you tomorrow for Schnibbles. I'm sure there's some physics law that explains what makes the world go round...maybe Wikipedia has the answer..it knows everything. My grand daughter makes my world go round. On a night like tonight, I'd say that sparkling cider makes the world go round. Especially the grape/apple variety. Happy New Year to you and thanks for the giveaway. Oh, I gotta run...not walk to the nearest quilt shop for some of that Love U! PLease tell me it's available for us little people now! What makes my world go around is my grandkids and the love of God. Have a wonderful 2010! Your blog is such a blessing! Love the quilt! And thanks for the giveaway! Well...it is call spinning on it's axes (I spelt that wrong...haven't been to school in a while)....and the pull of the sun...need I say more? But without love I think this world would kill each other off and we are trying to do that now...so sad. Thank heavens for blogging friends. Love, of course! :-) What a wonderful giveaway, as usual! Love, family, friends all make my world go 'round. 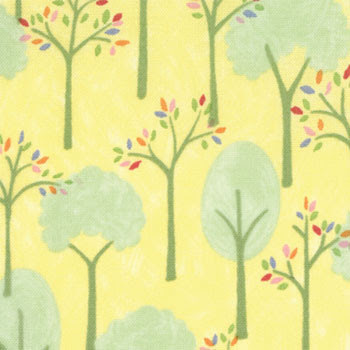 :-) Cute fabrics! Happy New Year to you too! Many loves...the more you give, the more you get. Thanks for the beautiful giveaway !! Love of course. Happy New Year! That would be "Love". And may you have a Happy and Blessed New Year. Love, family and hopefully peace in the New Year. Really like the fabrics and thanks for having a giveaway. Love certainly makes my little world go round. Thanks for sharing your fabric love with us! Happy New Year! I agree.........Love makes the world go round. My family and friends are what I treasure and keeps my world going. "LOVE" makes the world go round Good thing you cannot hear my voice! Well, mostly love . . . with a little bit of chocolate thrown in for good measure. I'm a brown-noser, so I'll say that FABRIC makes the world go 'round...LOL! Its already the new year here (Malaysia). We are at my brother's place thinking we could see the firework show. Unfortunately it is on the other side of another building but we can see at least five smaller and far away shows. I think Love makes the world go a roun. Love for Family and friends... Not to forget my soon to be two grand childs. I love the love U fabrics. Love makes the world go round...Great giveaway! Valentine's already? I'm still recovering from Christmas. Those are all pretty fabrics, nice way to ban winter! I think kindness, love, respect, and compassion are just a few things that make life easier for all. My kids make my world go 'round. Ad boy do they get it spinning fast sometimes! Chasing my newly 16 year old daughter....and a phone call Chrismtas morning from my missionary son makes my world go 'round! God's mighty hand makes the world go round.... which, that would be LOVE. Super sweet giveaway. LOVE the fabrics! Of course, Family and Sewing Machines make the world go round! Happy New Year! Serious answer...the way our hearts pump faster, our faces get flushed, our adrenaline spikes...and we end up staying with the person who has so ticked us off...because love isn't about how we feel...but our commitment to have only the very best for someone else. Funny answer...all those hamsters in their little balls really aren't exercising...they're keeping all the magma at the earth's center hot enough to keep us spinning! well i suppose the answer should be love but actually the real answer is family and friends! I love all of those charmpacks...especiall the Sent with Love...that green in there is really nice! HOpe that you have a fantastic new year filled with prosperity. Lots of things family being at the top of the list...Love your new quilt. 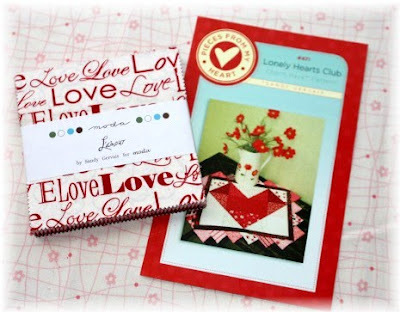 So many thoughts......warm brownies with chocolate chips inside and sewing on "love" fabric for a "loved" one. Ooh, I am in love with L'amour! I think kindness makes the world go round, because without kind people doing small things each day, the world would grind to a halt and destroy itself. Love makes the world go round, love of family, love of friends, self love, love of country, love of the planet earth, love of God. Lets hope the next year and the next decade are full of love of all kinds. Love! definitely!, Have a Happy New Year! The person that coined the phrase "Love makes the world go round" definitely had it right. Love and family both top the list. Nothing comes close to them. 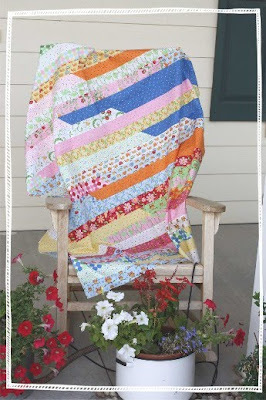 Love the fabric giveaways and your quilt is beautiful. The first thought is that money makes the world go round, but of course that can't be right, can it?? Great giveaway, happy new year girls!! "Wuv, twoo, wuv. Dat bwessed awangement. Dat dweam wiffin a dweam..."
Love makes the world go round, of course! My family makes my world go around and around until I just want to sit down. hee hee! I have to say that laughter makes the world go round. Laughing at a great joke, when your kids do something funny, when you want to cry and when you need to lighten the mood have to be some of my favorite past times. Usually laughing at myself is where I get the most practice. HAPPY NEW YEAR QUILT TAFFY! Love does make the world go 'round, loving what you do each day, the love of your children and friends, gods love and love of life!! Well diffently my hubby and two girls, with out them I think I would be lost. Well, like everyone above me has said it's love but I laughed til I tinkled when I read Becky said chocolate! Happy New Year to all! So they say that love makes the world go round, but I would say that it's my kids that make my world go round . . . and round, and round, and round -- sometimes like a whirlwind. Well, I guess that's the same thing, because kids=love. Happy New Year, ladies. I love those blues and greens. 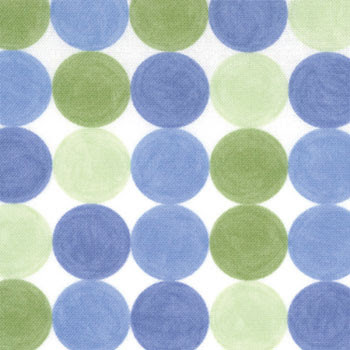 Doesn't quilting make the world go round? Love, compassion, charity and faith - life would be so much harder without it. I love the fabrics. If I won I'd have a hard time deciding. I hope everyone has a safe New Years Eve. I have to agree with most others. Love does make the world go round. helping and giving to others with no thought of getting something in return.. that's what makes the world go round. and quilts! I LOVE all those fabrics right now! What makes the world go 'round? Well - creativity makes MY world go 'round. I need a creative outlet to thrive. I just get antsy, grumpy and restless if I can't be artsy in some sort of way. Friendship makes the world go round, and blogging helps make friends around the world. That's what I love about blogging. Thanks for being one of those friends and thanks for another great giveaway! These days, my mother makes the world go 'round. My husband and I separated a few months ago, and my mother took me in with open arms and open heart. Then when my husband's mother was ditched quite terribly by her husband, my mother stepped in and contacted a social worker/advocate sort of person to help. Today we emptied my grandmother's cupboard (before the snowbird flies for the winter) and brought food to my mother-in-law, and made sure she had enough wood in the house in case she loses power in the coming snowstorm. I would never have the guts or the stamina to help her on my own, and my mother gives me that strength. the earth mooves around it self beacues there is nothing to stop it. realy! i chekt it out, but explaning it hear would be a little to long. but its a intresting question! Chocolate also makes the world go round! Yup, they're all right, love does make the world go round! Thanks so much for your inspiration throughout the year - and count me in! I really like the Love U charm pack. It would be such fun to play with! I think that LOVE and KINDNESS make the world go round. I find that Bloggers are the best! Thanks for holding "a Lotta Love Giveaway" I hope that I find some of the fabrics that you showed us in 2010.....especially the Owls....Happy New Year! 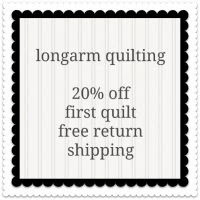 L-O-V-E makes the world go round of course- and F-A-B-R-I-C for us quilters too! Love and the love of God make the world go round. Grandchildren make the world go around, at least for me they do. Love those children! Moda, my cat, and love. Happy New Year! Love and family make the world go round. Right now my world is spining really really fast with my kids and grandkids here!!! We are having fun though. Loven't it! Thanks for the give away! My family make my world go round...there is nothing like the sound of your child laughing (no matter how old they are!). Happy New Year! The love of my family is what makes my world. Without them, I would have nothing. Happy New Year! L'amour makes the world go round!! 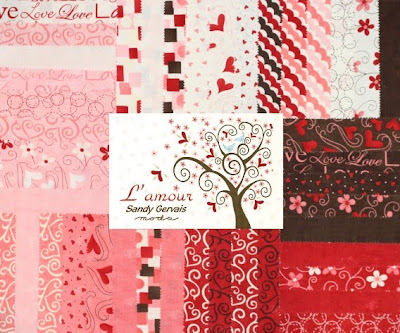 So many lovely new fabrics for the Valentine sewing - Yipee!!! Love, Family, God all these things make the world go round.